What kind of presence will the X-Men series have at Comic-Con this week? 20th Century Fox is playing coy about the studio’s panel on Saturday, so far announcing only Q&As for X spinoff The Wolverine and the Apes sequel Dawn of the Planet of the Apes, in addition to a “major” surprise. Expect that mysterious sneak to be a look at the currently filming X-Men: Days of Future Past — Vulture has heard that the Bryan Singer–helmed film will be sending over a dozen cast members to San Diego to tease the ambitious sequel, which employs a time-travel story line to merge the original X-Men cast with the young actors from recent prequel X-Men: First Class and is currently set for release in May 2014. What’s more, we’ve learned many of the formerly secret details Fox plans to tout there; if you want to keep your Comic-Con surprises unspoiled, stop reading now. One of those reveals won’t come as a shock to anyone who’s been following paparazzi pictures from the Montreal set: Though Singer hasn’t yet announced the identity of the villain that Game of Thrones star Peter Dinklage will be playing, expect official confirmation on Saturday that Dinklage’s baddie is Bolivar Trask, known to comic-book readers as the creator of the mutant-hunting Sentinel robots. However, what’s been unknown till now is that Days of Future Past features another famous X-Men villain, who’ll be played by the recently cast Australian actor Josh Helman. 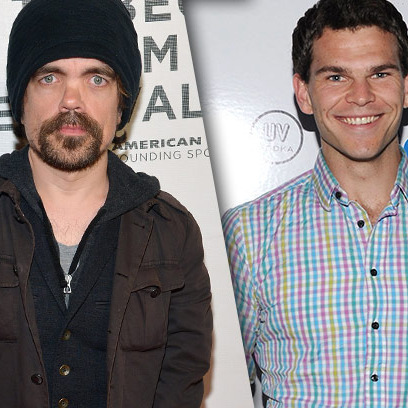 When the Wrap broke the news that Helman had joined the production in a major part, fans speculated that he might be playing a young Cyclops, since the actor shares some enviable bone structure with original X actor James Marsden. Not quite: Helman will be playing a young Bill Stryker, the primary antagonist role that was filled by Brian Cox in X2: X-Men United. Singer may also tease details of the film’s plot, which is based on a 1981 comic-book story line authored by Chris Claremont. That version presented a dystopian future ruled by Sentinels, a setting so grim for our heroes that fan-favorite mutant Kitty Pryde sends her consciousness back in time to warn the X-Men, who then try to stop the assassination of a senator that would set in motion the mutant-threatening events to come. In Singer’s take, Ellen Page returns as Kitty from the Brett Ratner–directed X-Men: The Last Stand, but this time she uses her powers to send Hugh Jackman’s Wolverine back into the past, where he encounters the younger mutants played by James McAvoy, Jennifer Lawrence, and Michael Fassbender. However, something bad happens to Kitty during the time-travel trance, and while Wolverine is still under her spell, the other X-Men must race to find a mutant who can siphon Kitty’s powers and bring their friend back to the future. Could that be the plot development that brings Anna Paquin’s power-copying Rogue into the fold once again? Expect more details as soon as Comic-Con begins in full this Thursday.